Go from being a good player to a lethal one! 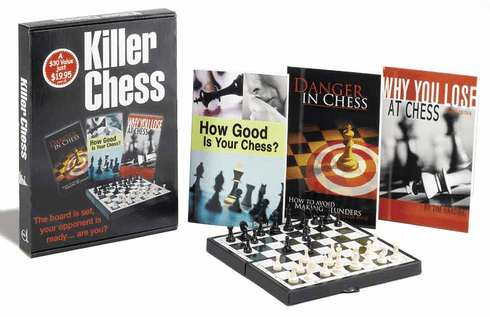 Includes: Danger in Chess: How to Avoid Making Blunders by Amatzia Avni. How Good Is Your Chess? by Daniel King. Why You Lose at Chess by Tim Harding. Travel-sized folding magnetic chess set.